Product prices and availability are accurate as of 2019-04-18 17:45:53 EDT and are subject to change. Any price and availability information displayed on http://www.amazon.com/ at the time of purchase will apply to the purchase of this product. 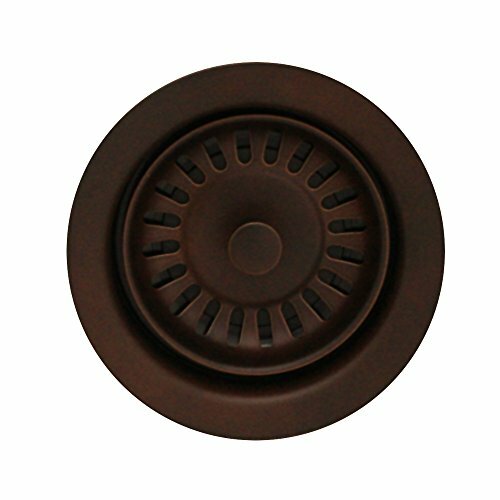 Whitehaus Collection 3.5 inch garbage disposal flange trim for deep fireclay sink applications. Includes matching basket strainer In Mahogany Bronze.